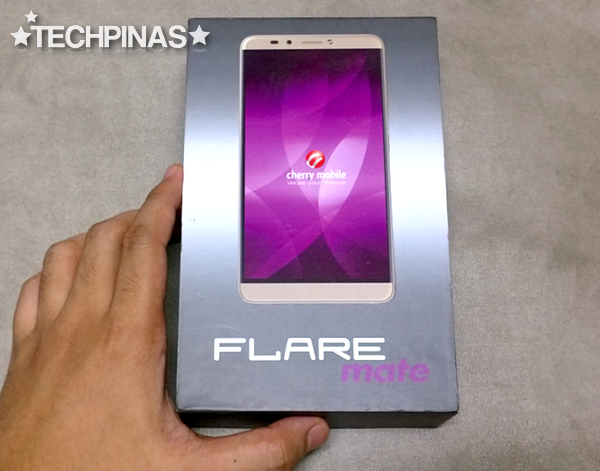 I've owned and played with many, many Cherry Mobile Android smartphones over the past three years -- and I have to say that, for me, the freshly released Cherry Mobile Flare Mate is quite simply the absolute best handset that the company has released so far in terms of design, build, power, imaging capabilities, and overall value for money. 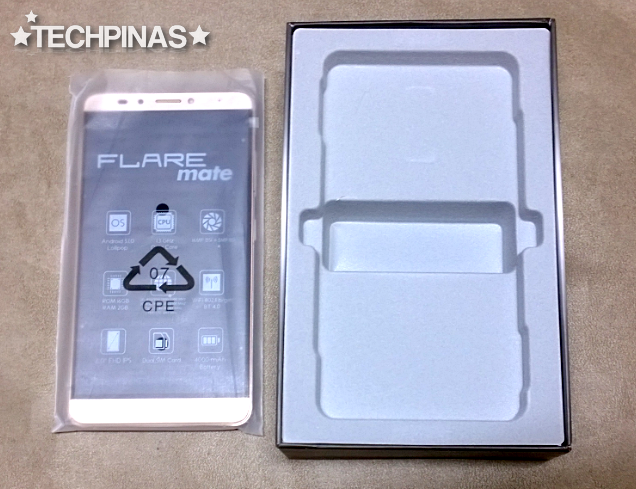 Before I give you my full review of this amazing phablet, allow me to do a quick unboxing just to give you a clear idea of what you'll get for Php 8,999. This is how this model's paper carton box looks. CM listed down the phone's key features and technical specifications at the bottom of the inner case for quick perusal by customers. 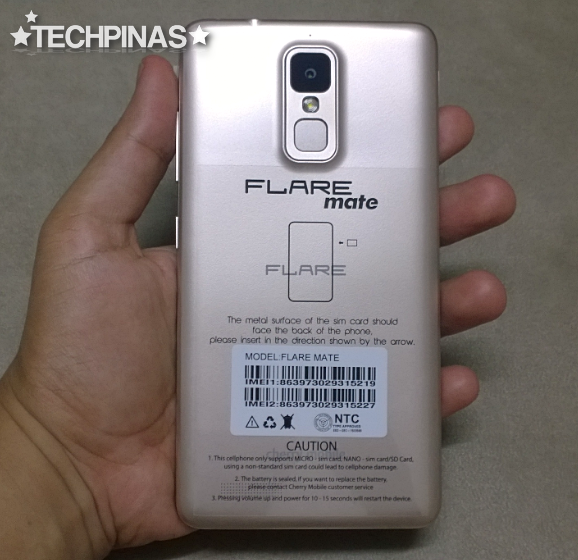 The Mate is currently the largest member of the Pinoy handset company's new Flare Premium Series, which aims to provide consumers great-looking and powerful Android smartphones without charging them an arm and a leg. Whereas the initial Flare line was merely known for being super affordable, this improved series also includes premium looks and construction in its set of main selling points. 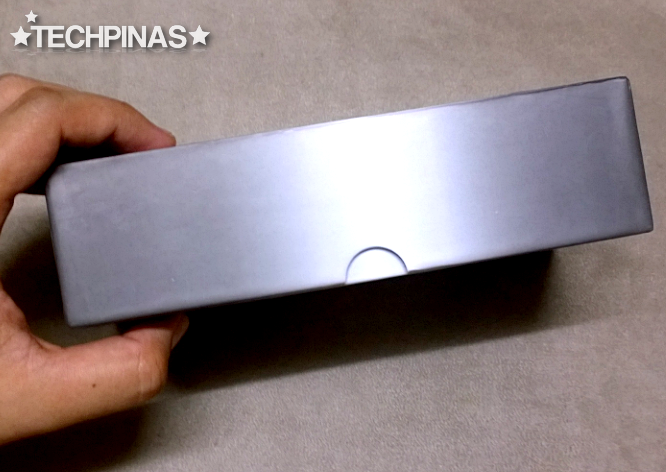 Lifting the outer case reveals the handset inside. 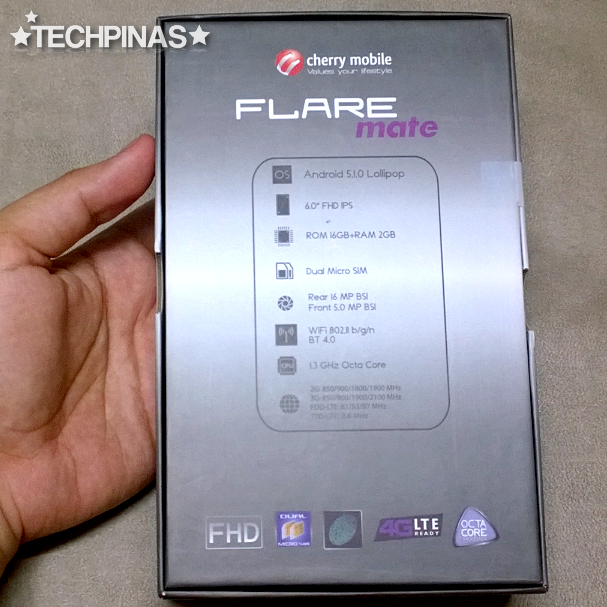 Cherry Mobile Flare Mate is cradled by this plastic tray with velvet lining. I guess this is a simple way for CM to instantly make consumers feel that this is really a more premium model compared to its other releases. This is the complete retail package. Inside the box, the unit is joined by the user manual, CM recommended apps card, travel charger, microUSB to USB connector cable, and the headphones. 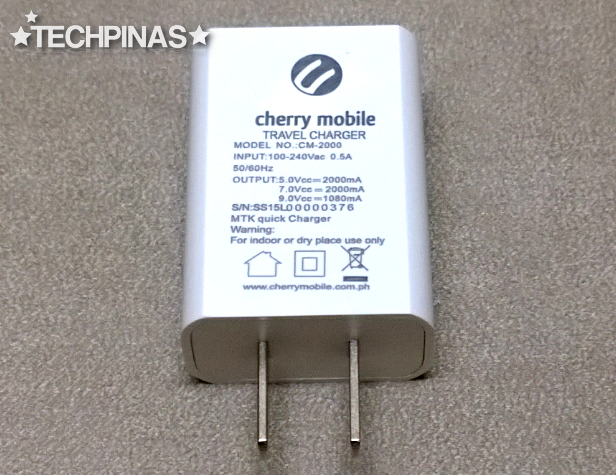 The travel charger is an MTK Quick Charger with 2,000 mA output. 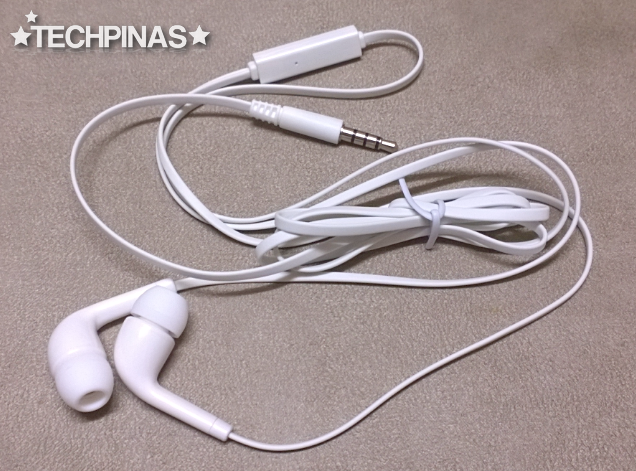 The headphones have noise cancelling in-ear silicone buds and microphone that you can use for making calls. Alright. Let's take a look at the unit itself. The face of the phablet flaunts a massive 6-inch Full HD IPS OGS display panel underneath 2.5D scratch-resistant curved glass. 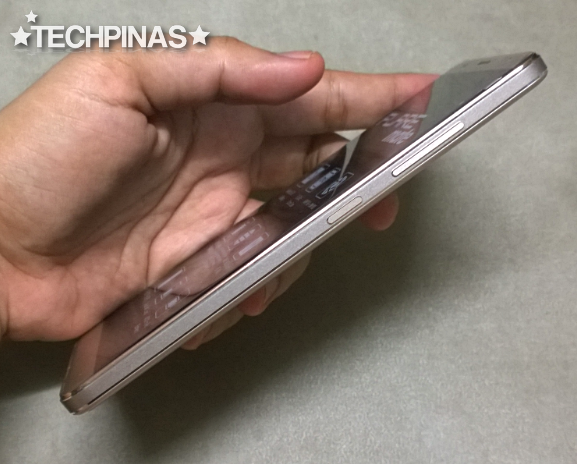 As you can see, although the smartphone has a really large screen, CM was able to keep the size of the device grasp-and-pocket-friendly by giving it a near-bezel-less design. 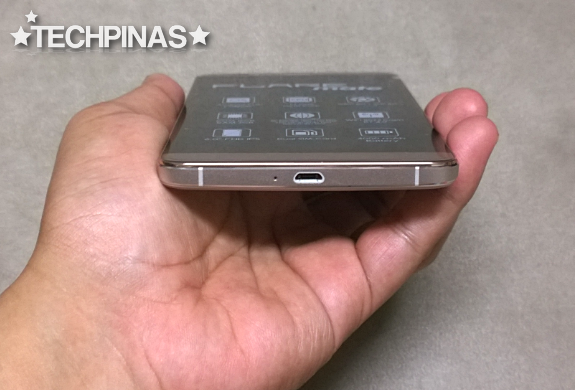 The phablet's back plate is made of polycarbonate and is non-removable. This houses the relatively large 4,000 mAh battery pack (which is just proportionate to the size of the display) as well as the protruding 16 MegaPixel camera module with single (albeit powerful) LED flash. 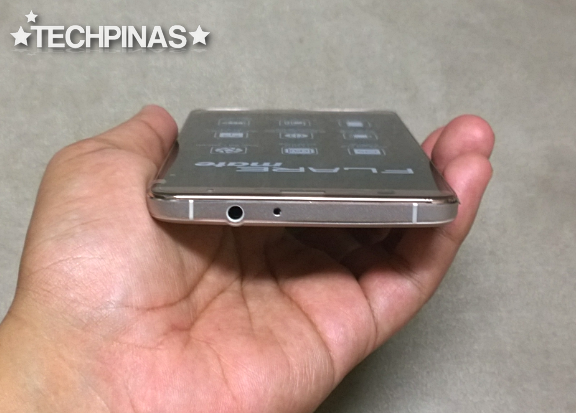 One of the unique features of this model is its fingerprint scanner, which I find to be top-notch. Found underneath the camera, you can use it to quickly unlock the smartphone and to make supported app purchases without having to key-in your password. So far, I've only tried the former and it works flawlessly. 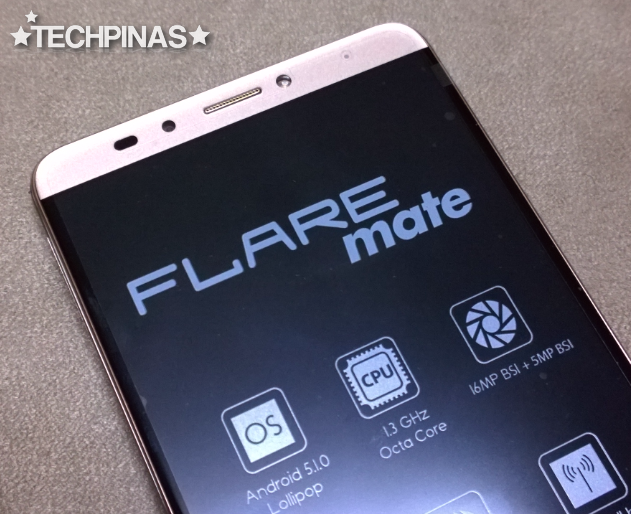 The rim of Cherry Mobile Flare Mate is made of CNC-crafted anodized aluminum that doesn't only make the device feel more durable compared to other models but also gives it an air of elegance. This tray on the left panel that you can eject using a pin houses two microSIM card slots -- one of which is a hybrid that doubles as a microSD card memory expansion slot. At the rear, you'll find the microphone pinhole and the microUSB port, which also supports USB OTG for quickly transferring files or plugging in supported peripherals. 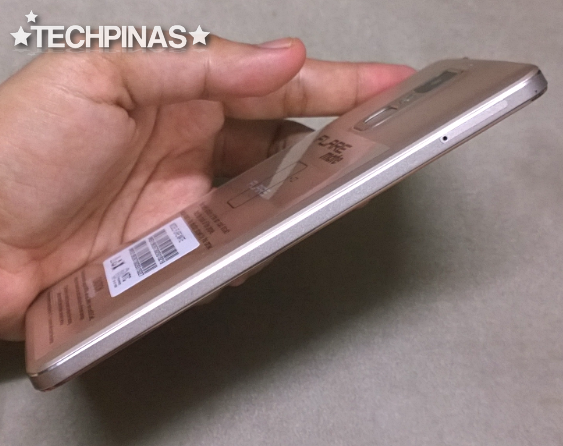 At the top, you'll see the 3.5mm combo jack and - get this - an Infrared sensor! 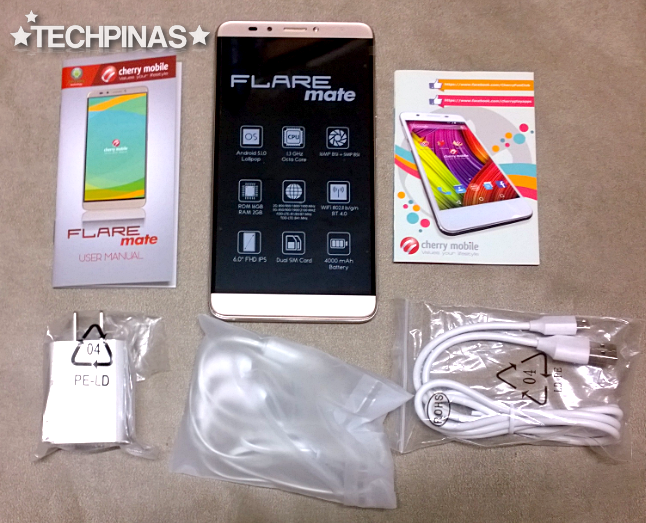 Cherry Mobile Flare Mate also comes with a pre-installed 'remote control' application that can work with practically all electronics brands with products supporting IR blaster input. Resist the urge to prank your friends or strangers using it, though! 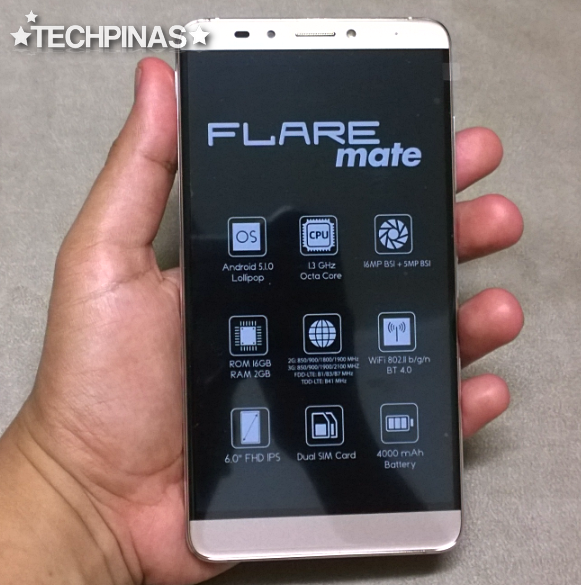 CM Flare Mate sports a 5 MegaPixel Selfie camera in front with BSI sensor and Soft LED flash, allowing you to snap self-portraits even when there's little to no ambient light. I find it to be one of the best selfie cams on any Cherry Mobile handset that's available in the market. Alright! That's it for now! I love this release so stay tuned for my full review. 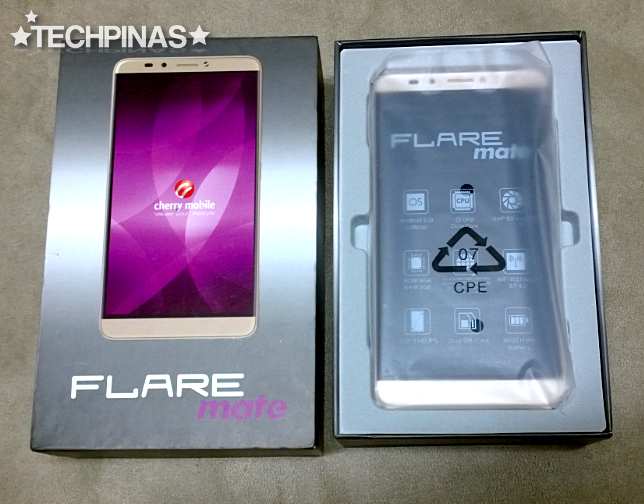 Off hand, I want to say that Cherry Mobile Flare Mate is so good, I'm inclined to give it a TP Badge of Excellence.